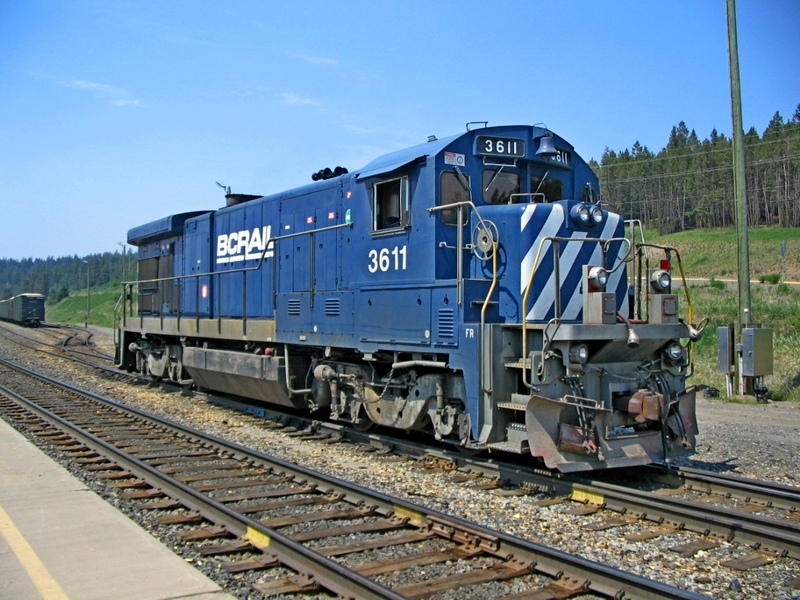 Railpictures.ca - Doug Lawson Photo: Taking a break at Exeter while switching the yard there. Ex ATSF 7494 looking sharp in BC Rail blue. | Railpictures.ca – Canadian Railway Photography – photographie ferroviaire Canadienne. Caption: Taking a break at Exeter while switching the yard there. Ex ATSF 7494 looking sharp in BC Rail blue.